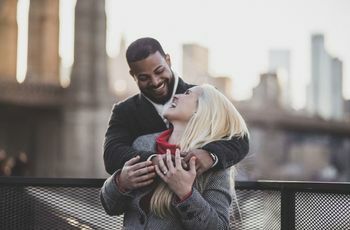 Trust us, you won’t want to spill the beans until you’ve looked at these fun, imaginative engagement announcement ideas first. Congrats, you’re engaged! Now how do you share that you said yes to your fam and friends, or, you know, the world? Well, we’ve got a few engagement announcement ideas for you. 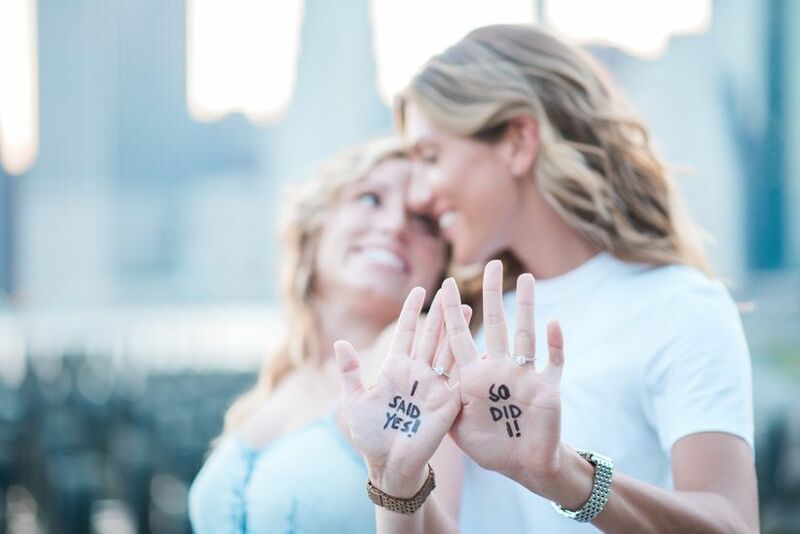 From subtle to not-so-subtle ring shots to the cutest signs and creative props, all you need to inspire you on how to reveal that you and your SO are official and in this together forever is right here. 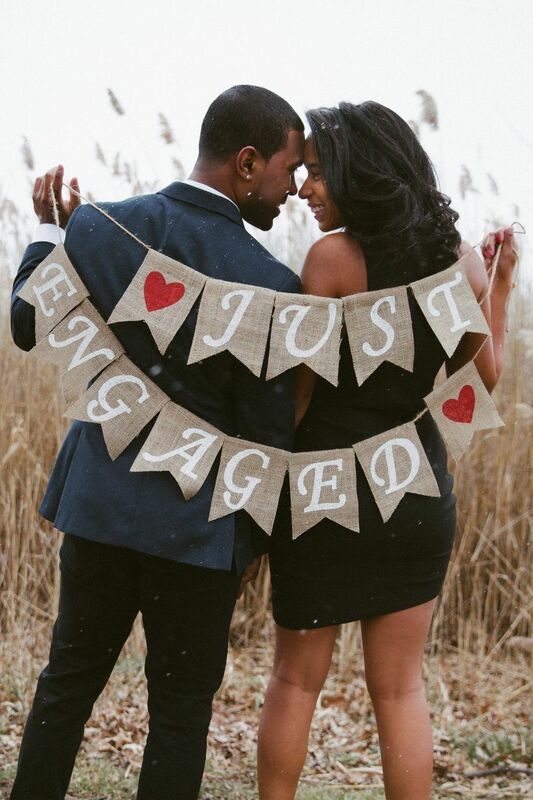 Check out these adorable and romantic engagement announcement ideas. What’s cuter than Eskimo kisses? 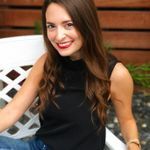 An intimate close up with your ring in view as you lay your hand on your beau’s shoulder is a subtle way to say, “I’m engaged,” while showing off that bling. On the other hand, why be subtle when your ring is as dazzling as this!? Put that sparkler in the limelight. 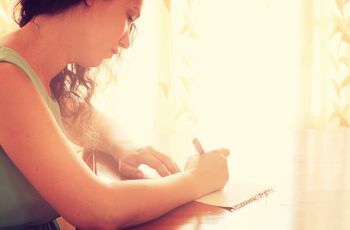 Or, put a kiss behind this classic hand pose to throw a bit of extra romance in there. One of our favorite engagement announcement ideas! 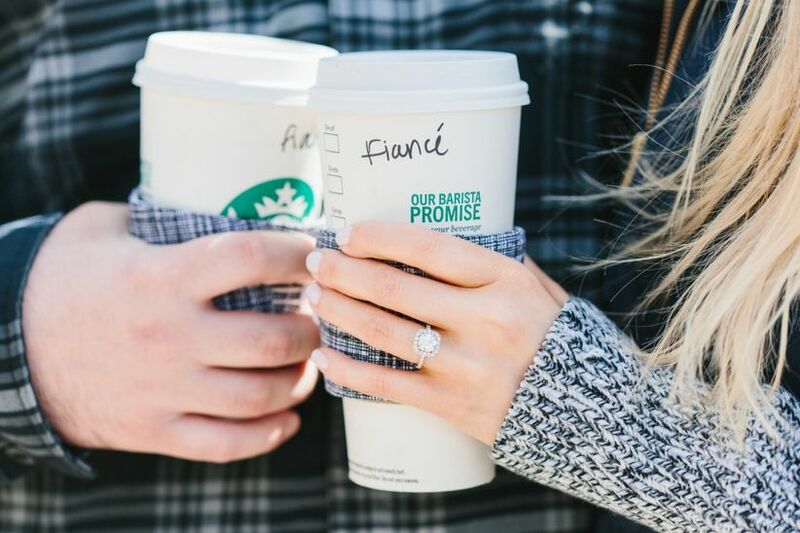 Grab Starbucks for a cozy fall photo and a creative way to announce your new relationship status. Have the barista write “fiancé,” “mr.” and “mrs.,” or “I asked” and “he/she said yes,” on each cup, respectively. 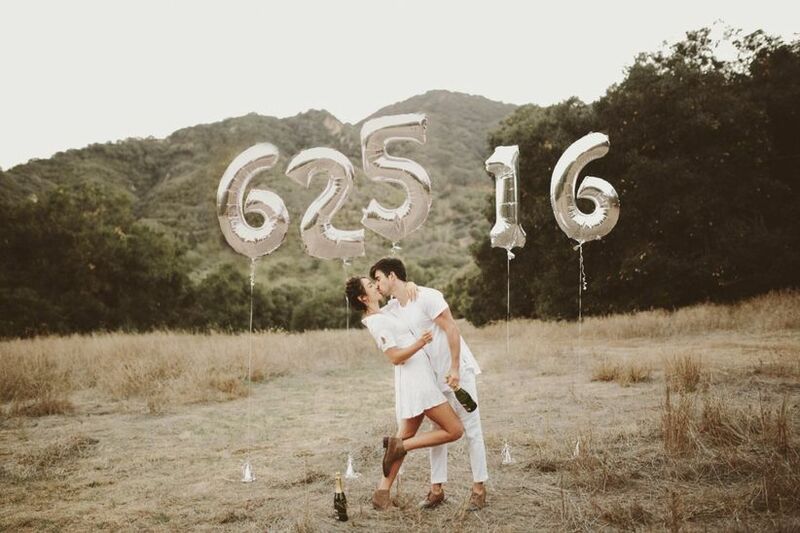 If you’ve got the date set, display it with fun and playful metallic number balloons for a touch of whimsy. 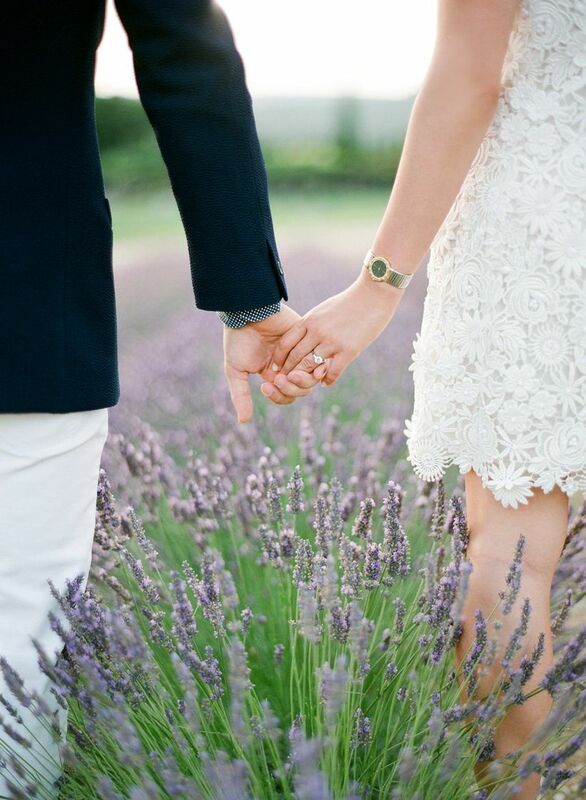 There’s just something so adorable about holding hands (especially in a sweet field of lavender). It says, “we’re in this together,” and gives an excuse to display that ring. 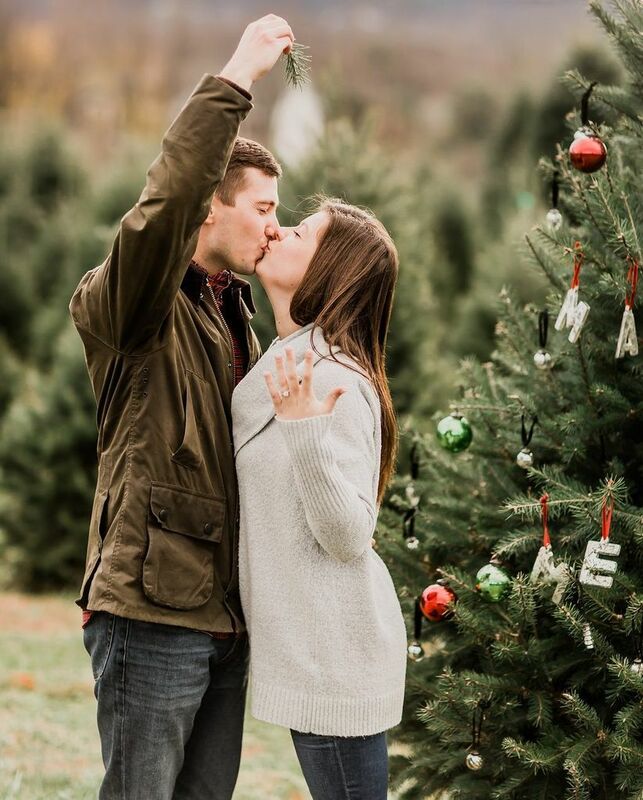 Behold, the perfect Christmas card idea: announcing your engagement at an evergreen tree farm under a festive piece of mistletoe. How adorbs is this sign? A bold “yes” says everything. 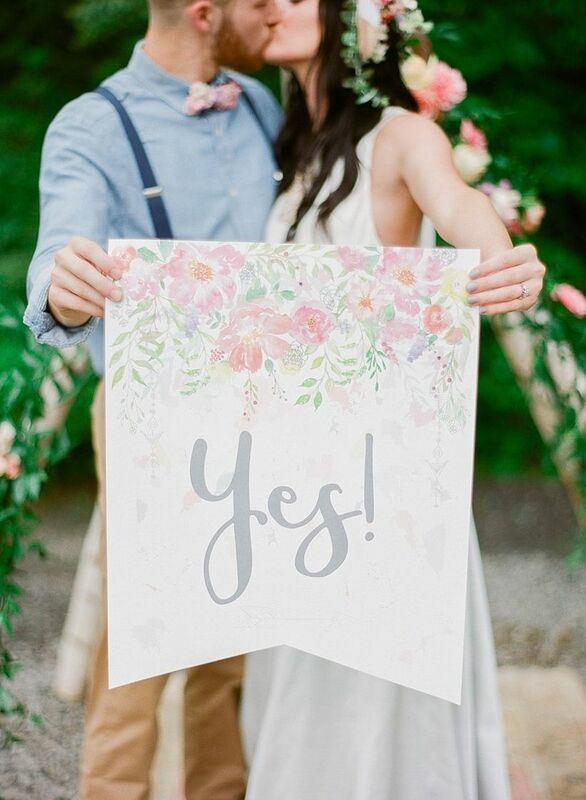 We love how the watercolor flowers match the bride - and groom-to-be’s hair vines and bow tie in the background. 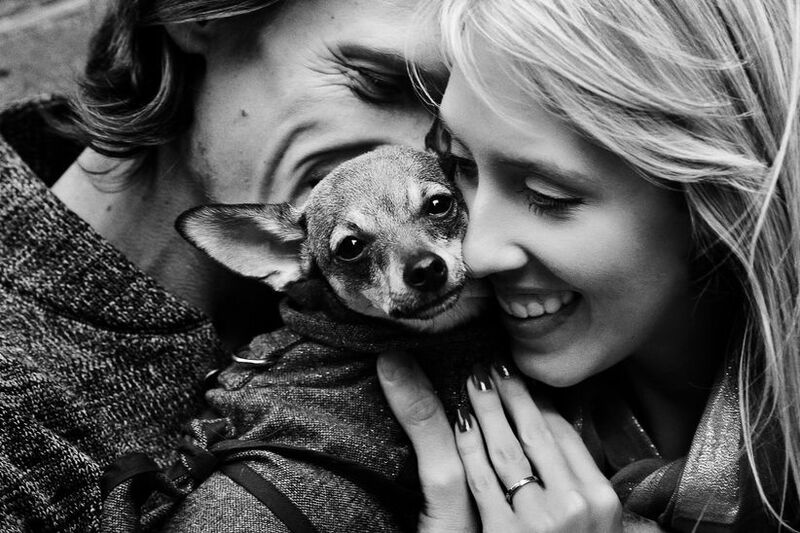 Get the pet involved for a cute fam shot — ring included, of course! Why beat around the bush? Hold your ring, box and all, to state the obvious. 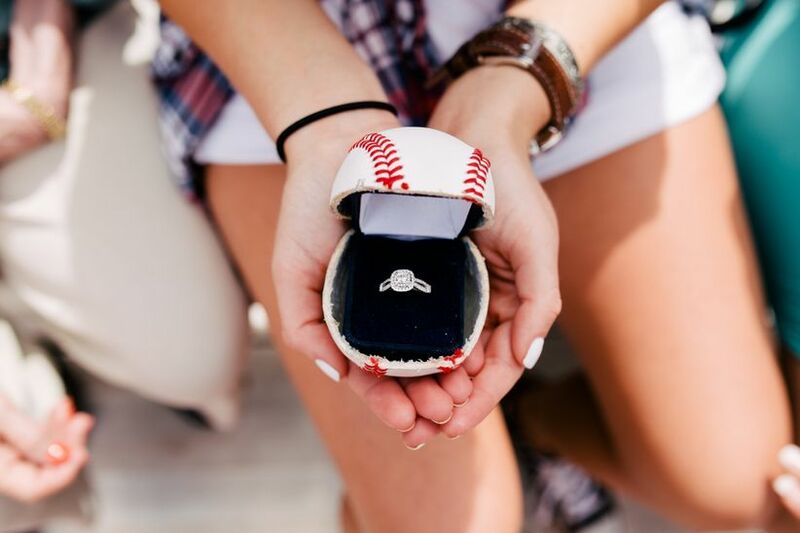 We especially love this idea if the proposal used a creative ring box or holder — baseball-themed engagement announcement ideas are always a hit (see what we did there?)! 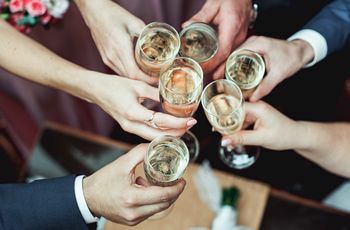 We can’t think of a better occasion to toast to! 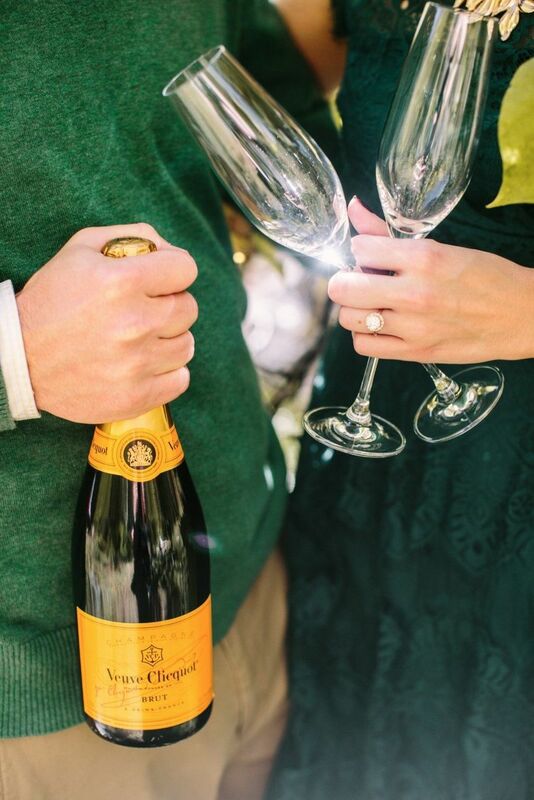 Double glasses and a bottle of champagne pull off the perfect celebratory vibe. 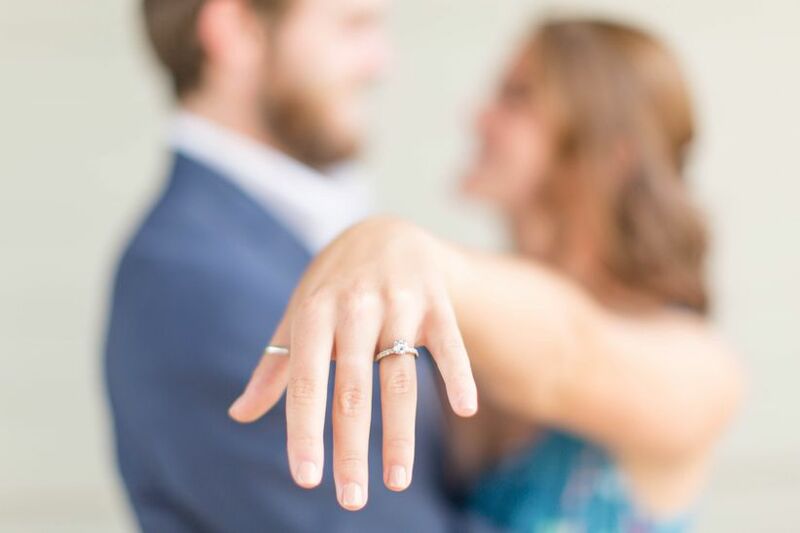 This cute engagement announcement idea captured in an out-of-focus mode expertly draws the eye right toward the big dazzler. 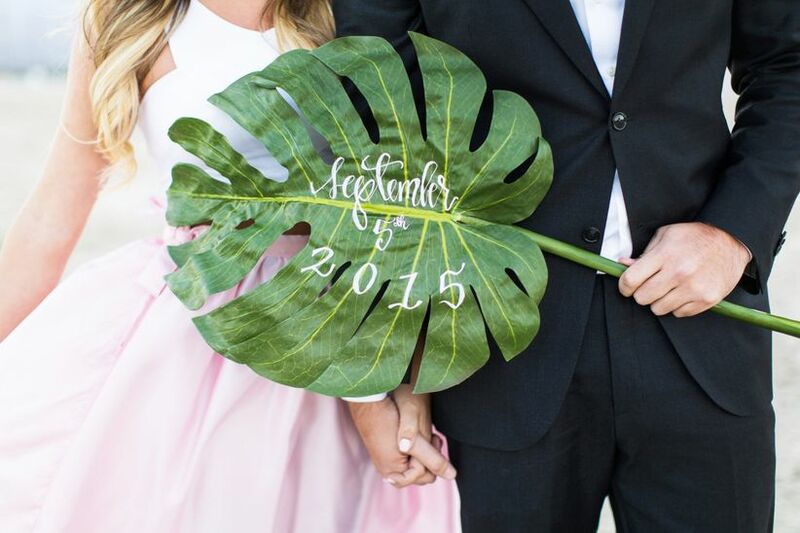 Announce the date of your upcoming nuptials on something suited to your wedding theme or destination, like a palm leaf for an island ceremony or tropical theme. Write your excitement on your palms — and spin those rocks around so no one misses them shine with this super-cute (and easy!) engagement announcement idea. Wrap your arms around your S.O. for one of the sweetest engagement announcement ideas that captures both your love and your new piece of hardware. 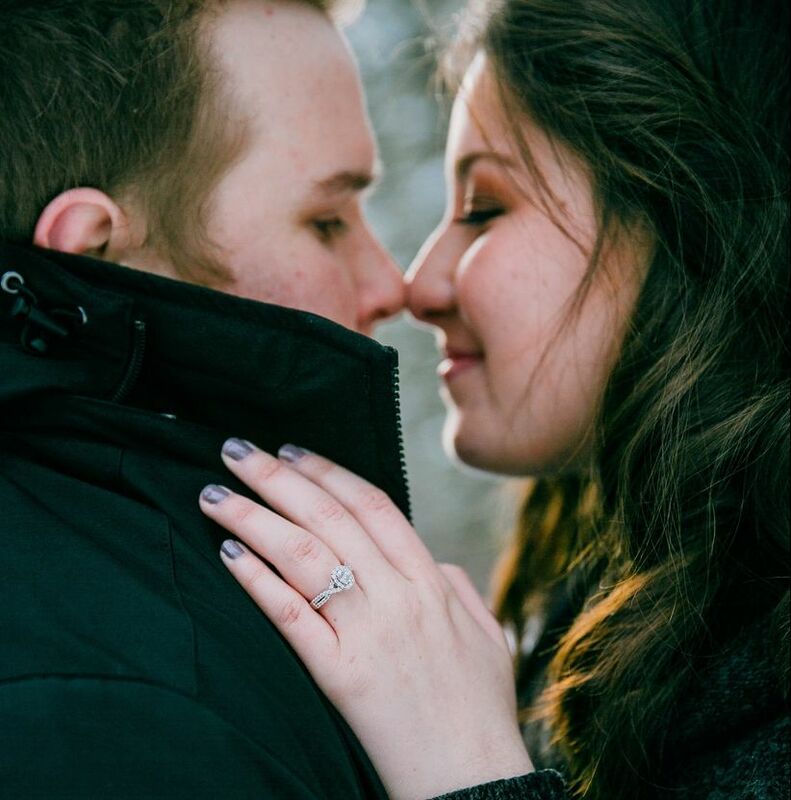 There’s nothing like at-home engagement announcement ideas! 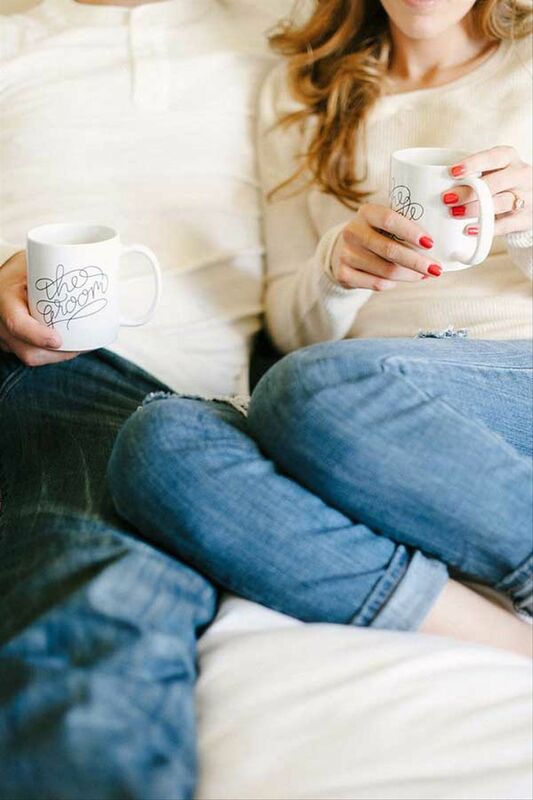 Curl up with your partner with some declarative mugs for a laid back, down-to-earth feel. Seriously, how cute are these two? Your engagement announcement can’t get much clearer than this! A burlap banner declaring their new status is romantically rustic. 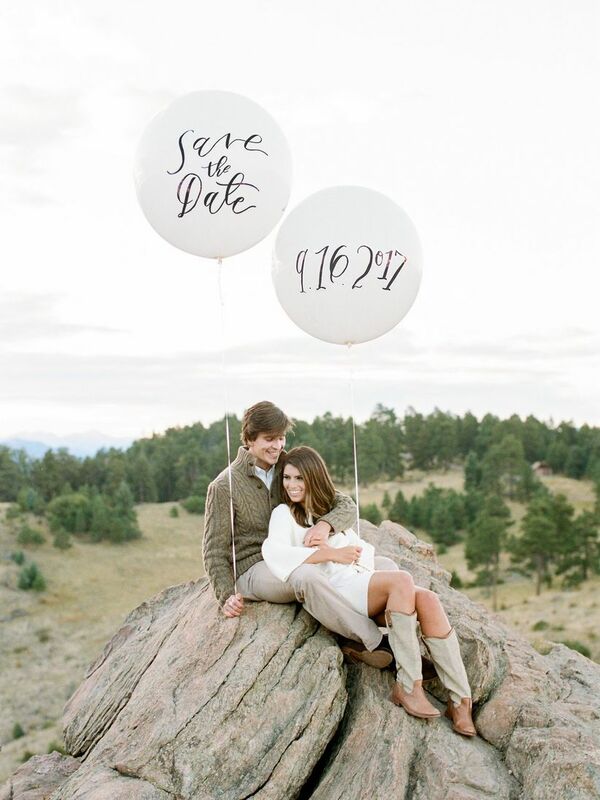 Balloons aren’t just for kids — they’re also for adults who want to announce their future wedding date! These fun party props get a makeover with delicate calligraphy and a black and white minimalist look. What’s more exciting than mom and dad getting married? 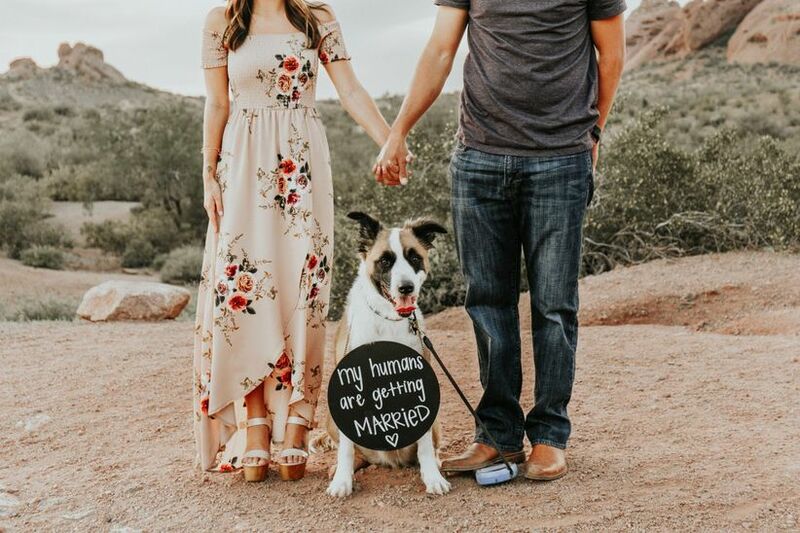 Leave it to this cute pup to make quite the engagement announcement idea. The sweet gesture of a tight embrace says “forever” when complemented by a shiny engagement ring.